Welcome to everyone with a passion for the hobby or profession of GOLD detecting. Before joining, please read the RULES to make this a success for all. Got something on your mind ? Need to make a comment or ask a question ? "Gold", Junk or the unusual items found on the Goldfields. Show us what got you digging a hole or scavenging through an old rubbish pile. Helpful tips for the detectorist and other ways of finding gold. Panning, Sluicing & Dry Blowing. SD, GP, GPX, GPZ Etc. 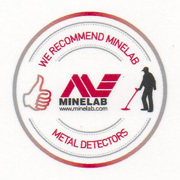 The Minelab range of detectors is extensive & so are the other makes. If you have questions, answers or solutions to detector problems, share it with us. Caravans, Tents, Swags, Motels/Hotels Etc. Share your ideas and information to make your time in the "scrub" easy and enjoyable. Post up your GoldField towns pics or pics of interest - We Love em. The Place to Find a Buddy To Go Bush With Or a Day Out Swinging The Wand. Links and Addresses for clubs, associations & other Forums in WA and interstate. Make friends and share your knowledge.